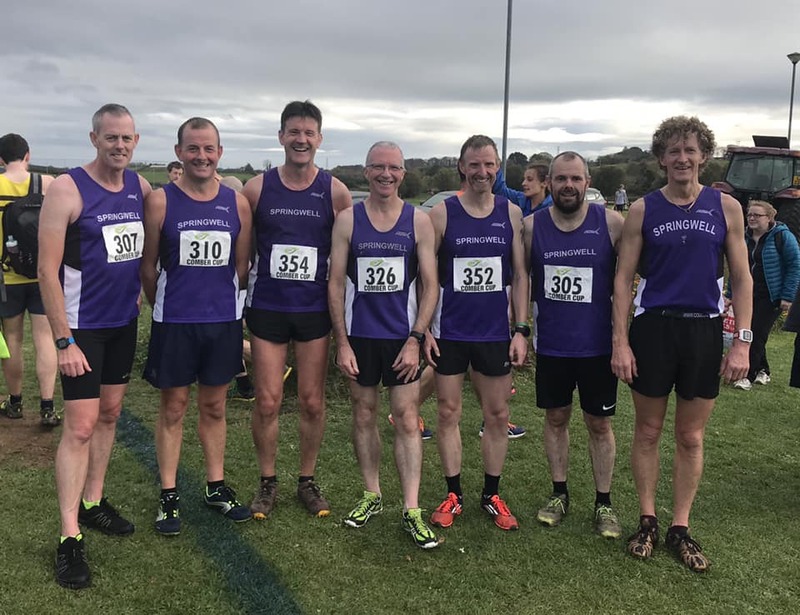 This week saw Springwell RC members running in events locally and internationally at a variety of distances on the road, trail and cross country. With races taking place in Belfast, Comber, Davagh Forest, Dublin, Amsterdam and Tennessee a lot of miles have been run. There are a number of different ways used to signify the start of autumn. To the Meteorologists it’s the 1st September, to the Astronomers it’s the 22nd September, but to the runner autumn doesn’t officially start until the Cross Country League is under way. Therefore the Comber Cup cross country, hosted by Ballydrain Harriers at the Billy Neill playing fields on the 20th October was the first day of autumn in the runners calendar. The work carried out at the Billy Neill playing fields throughout 2018, and the improvements in the drainage, produced an excellent course which when combined with the cool, dry weather, resulted in some very fast times. Mark McKinstry (North Belfast Harriers) continued his excellent form with a dominant run, leading from start to finish winning in a time of 23.49. The remaining podium places were fought out between Simon Stewart (Springwell RC), Finn Johnson (North Down AC) and John Black (North Belfast Harriers). After four laps of close competition it was Finn who finished second in 24.16 with John in third with a time of 24.59. Simon finished fourth in 25.27, winning the M45 age category. Springwell RC’s Bryan Edgar ran a 29.25 to finish 57th and 2nd in the M55 age category. Springwell RC Results - 4th Simon Stewart 25.27 (1st M45), 38th Barry Mullan 28.19, 57th Bryan Edgar 29.25 (2nd M55), 89th David McGaffin 31.24, 93rd Maurice Walker 31.33, 137th Alistair Bratten 35.04, 171st Paul Dornan 41.31. Run in memory of Fergal Mulgrew and hosted by Acorns AC, Fergals 10 Miler took place in Davagh Forest, outside Cookstown on Saturday 20th October. Fergal was only 40 years old when he collapsed and died suddenly while out running with a friend in Davagh Forest, on Wednesday 12th October 2016. He was in the final stages of his preparation for the Dublin marathon and had hoped to complete the marathon in less than 3 hours. The money raised from Fergal’s 10 Miler was equally split between the MITRE Trust charity and Acorns AC. Springwell RC was represented by three members at the event. 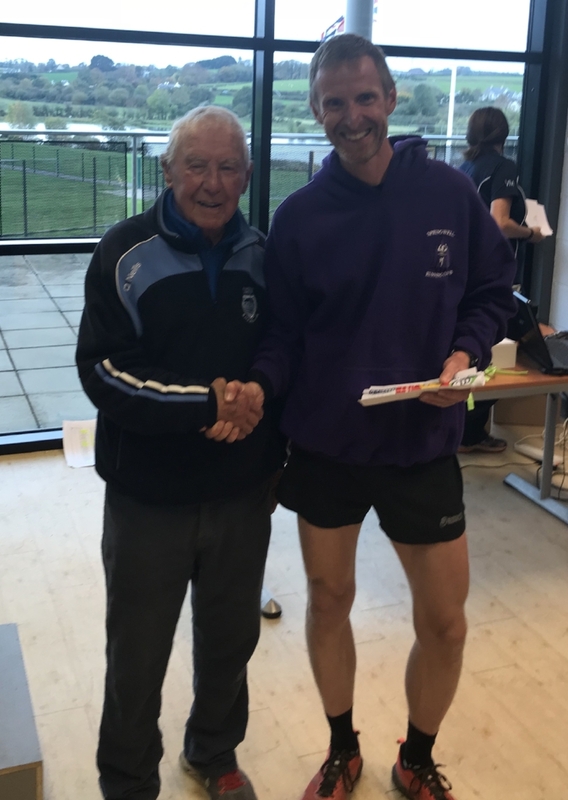 Colin Loughery continued his recent good form with a time of 1.05.14 to finish 19th and win the M50 age category. Karen McLaughlin collected yet another podium place finishing as 3rd lady and 46th overall in 1.12.28. Elizabeth Deighan finished 2nd in the F55 age category and 175th in 1.29.32. Almost 16,000 runners took part in a very warm Amsterdam Marathon on Sunday 21st October and amongst the masses were five Springwell RC members with a sixth taking part in the Half Marathon. In the Marathon Terry Glenn finished 2377th in 3.23.01, Nelson Hanna 3210th in 3.32.30, Richard Ross 3600th in 3.40.17 and Simon McLean 4254th in 3.44.38. Completing her fifth marathon Laura Wilson was 10720th in 4.48.51. In the Half Marathon Deborah Archibald was 12573rd with a time of 2.17.15. The Titanic RUNHER 10k took place on Sunday 21st October in the Titanic Quarter in Belfast. RUNHER is Northern Irelands leading ‘ladies only’ running event and as always the event attracted a very large entry. Taking part for Springwell RC Emer Thompson ran a personal best of 59.31 to finish 215th, Bernie Drain was 424th in 1.09.29 and Caroline Owen was 480th in 1.17.00. The Open Cross Country event in Dublin on Sunday 21st October attracted an extremely competitive field with the elite of Irelands cross country runners taking part. Springwell RC’s Neil Johnston produced an excellent performance over the 7500m course to finish 26th in a time of 24.04. The ‘Big Dog’ is an ultra running event in Tennessee, USA which attracts the elite of the world’s endurance runners to take on the challenge of running 4.16667 miles every hour until only one remains. Racing started on Saturday 20th October with Springwell RC’s Peter Cromie amongst the 61 runners putting their toe to the start line. At the time of going to press Peter is one of only 12 runners still in the race having run 129.167 miles. In 2017 the winner had to run 245.832 miles to secure victory.......................................................to be continued.